Would a "Hold shift (or control) to delete entire inventory" be better? That's decreased the risk of operator error a bit - thanks. 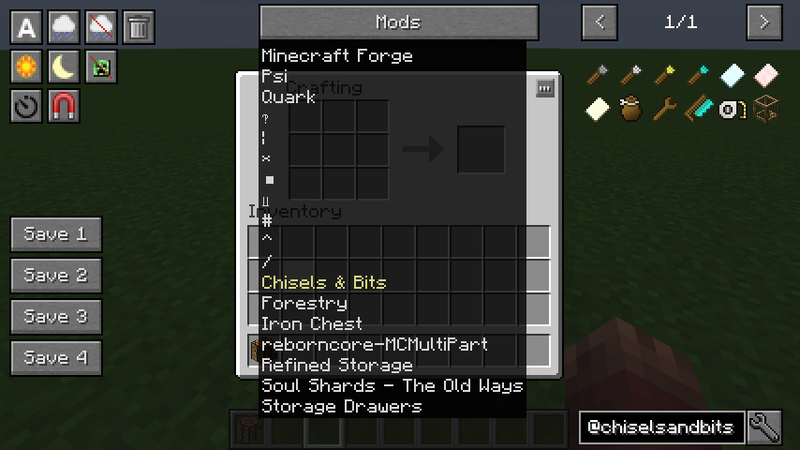 Still in survival don't you always have a working inventory-tools and such-so open to suggestions when an entire delete would be necessary? Now saving basic set up just to be on the safe side. Cheers for the response though and a fab mod! But while were at it I'll probably just make it a config option, disabled by default. Please consider a warning in place before deleting the players entire inventory, I've been caught by this and lost weeks of work, and I can't just creative it back, because you have to level up all the tinkers stuff and upgrade the draconic armour. So yeah, I'd think it would be clear that to have a button which has the power to delete your entire inventory, you would think it prudent to have a check before doing that? Otherwise some good time saving buttons, just not so much the save / load buttons of potential doom. 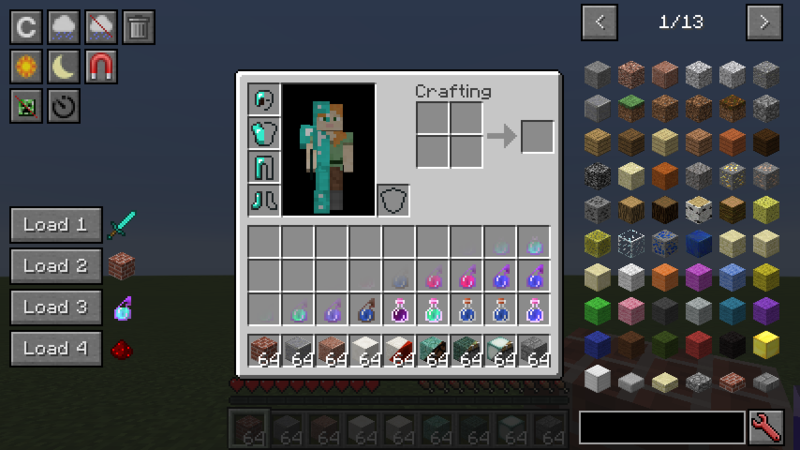 I don't know which version you are using, but the current version of Just Enough Buttons will by default not clear your inventory anymore. 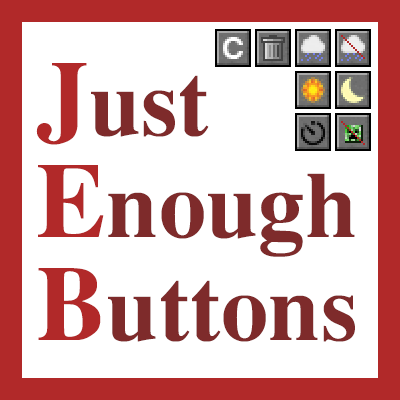 The tooltip isn't correct for when you play on a server without JEB installed since it still says "drag items here to delete them" even though that can't be done without the mod being present on the server side. Hey thanks for the reply, I think I may have accidently clicked one of the save buttons early game, then again accidently clicked the same button, much later on and gone back to like stone tools. I'm playing on the current version of FTB Beyond straight off the FTB launcher - the old one not the twitch client. I'm also running my own server for beyond on a spare machine. So I thought that a warning could be programmed in to ask if you want to swap setups, or if you want to save the current setup before changing? I don't really see a point in adding that. Niether NEI nor TMI did that. The save buttons aswell as all the other functions are intended for cheating, which means that loosing something isn't all that bad. If you're playing survival then you should probably turn off the save buttons in the config. Also, FTB Beyond is 1.10 if I'm correct and I for the most part only support the latest version of Minecraft. So yeah best thing would be if you just turn off the Save buttons for survival. What do you exactly mean by other options? The chunk boundaries thing? I think this is a fab mod! All that's needed is a magnet mode/light overlay button and then by jingo it would reach absolute perfection! p.s would a few more command buttons be greedy I wonder? About the magnet mode I'm not sure if I'll implement that since that function would require the mod to be present on the server. But I'll see what I can do. As for the light overlay, there's already mods that do that, but if I find the time I'll add it. Also more command buttons shouldn't be hard to add so I'll definetely do that.